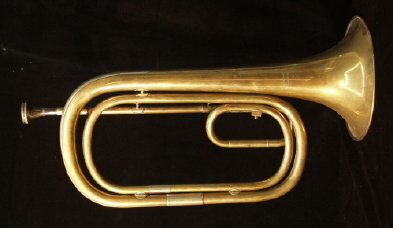 Anton Schopf Baritone Bugle, made in Germany. "Antom Schopf - Munchen" stamped on flair to bell. Overall length is 21.625 in. (54.9 cm. ), 8.125 in. (20.6 cm.) diameter of bell. Very Good Condition.